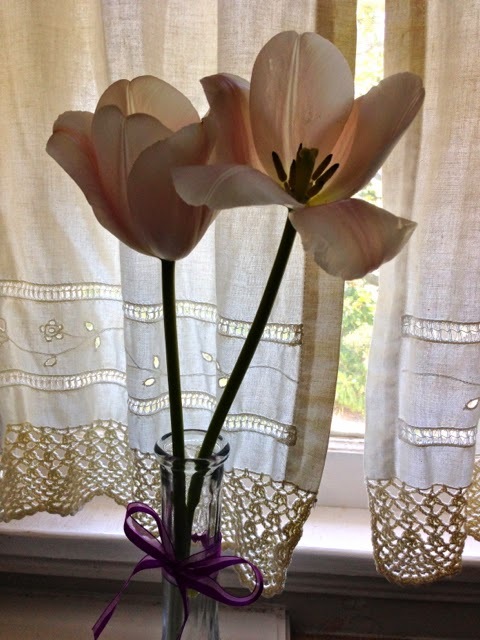 I hope all of my readers had a lovely Mother's Day. This holiday made me think about my mother a lot, and I felt kind of pensive on Sunday. I really miss being able to talk to her, and to joke around with her. Her sense of humor was exceptional. She passed away in June of 2011. Do you also take photos with your phone while at bookstores (and other shops)? I love the titles and covers and the way books (and other things) are arranged. 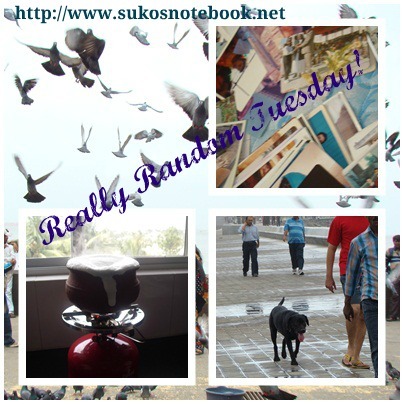 These photos are from a couple of bookstores I visited recently. Having an iPhone makes it easy and fun to take pictures wherever you are. I could have gone "hog-wild" but I only took a few photos this time. 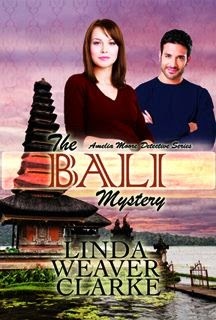 Please help me to congratulate the winner of The Bali Mystery by Linda Weaver Clarke, Sharon Braswell. Congratulations, Sharon! I think you'll enjoy reading this cozy mystery. The second book in the series, The Shamrock Case, will be available to the public next month. I'm looking forward to reading that book soon. Thanks for reading! As always, your comments are appreciated. I can imagine Mother's Day is tough without your mother. I'm sending hugs your way. 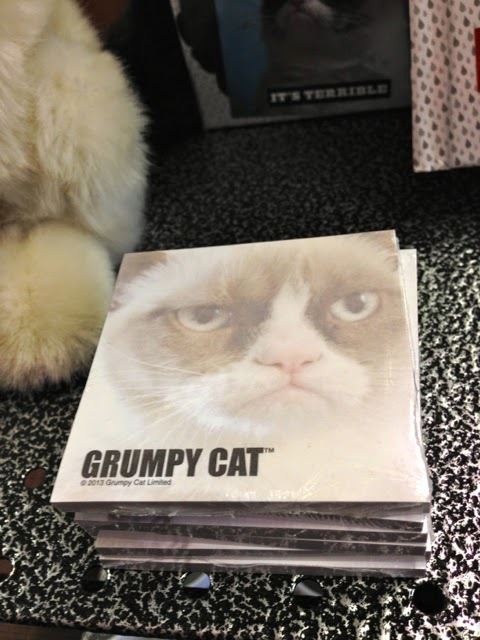 I read a Grumpy Cat book recently and laughed all the way through. I haven't been very good at blogging or commenting lately. I've been busy with some friends who need my help. Hopefully things will get back to normal soon. Beautiful photos Suko. Congratulations to Sharon. That flower is so pretty! Yes, I do still miss my mom from time to time, especially when I go shopping ---that was our thing. She passed away 27 years ago --and at times it seems like yesterday. I take photos of things when I'm out shopping all of the time. On Mother's Day, Rob came over and said, "I'm going to call (name of friend)" and gave me a kiss. Bibi asked me later "Where's Pop-Pop?" The friend's mother died in March, shortly before her birthday. A few weeks later, his father also died. So this was the friend's first mother's day alone and Rob wanted to be sure to touch base with him. One week from today I will be flying up north to visit my mother (as I do every year) and I am so grateful, not only to have her in my life but to have a good relationship with her as well. I can imagine how I will feel on mother's day when she is no longer here to share it with me. I'm sorry any of us have to experience these losses. I always feel for those who have lost their mothers or those who sadly have never known the love of a mother or mother figure. I have never done so but I like the idea of taking pictures of books in a store. 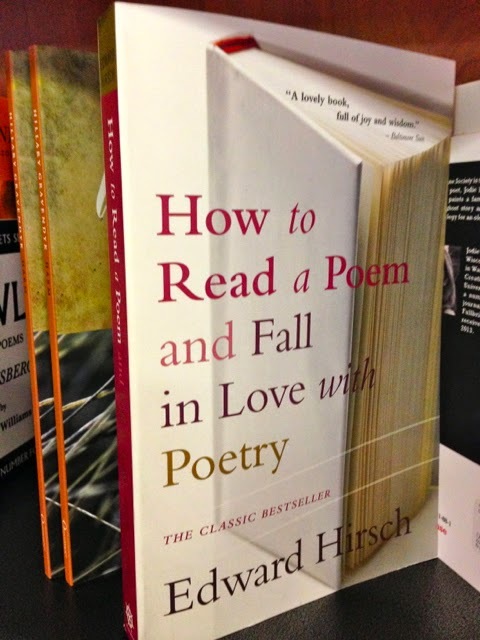 That one picture is making me want to read "How to Read a Poem and fall in Love with Poetry". Susan, I'm sorry about your mom. I can only imagine how hard the day was for you. Isn't the iPhone great. I love it for taking pictures and it takes such good ones too. I'm not sure I could live without it and my iPad now. Lol. I confess I photograph books in stores then check to see if I can by cheaper online. 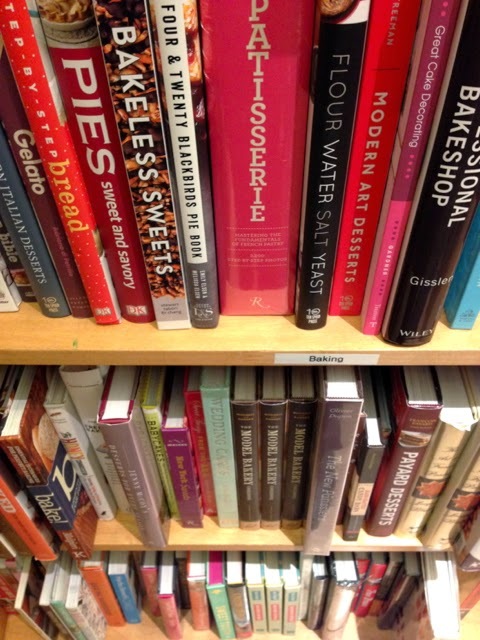 I've never photos of books in bookstores, but what a fun idea. A few weeks ago they had a 'Grumpy Cat' on American Idol. It really was a beautiful cat. I'll look for the Edward Hirsch book! I take photos from time to time but rarely of books. I take pictures of books on my phone as well, mostly so I can remember what book I want to add to my "to read" list. Sadly the case on my phone is cracked where the camera lens is and I'm having a hard time living without it! Yes, if there is an unusual display or a book I won't remember the title of I take a picture of. I also love pictures of bookshelves (filled of course). Well done to the winner. Sorry about your mom! Mothers Day is hard for me too, I lost my mom in '95. It's strange that I've never thought of taking photos of books I see that I'd like to read, especially since I always have my camera with me. Congratulations on your win Sharon!